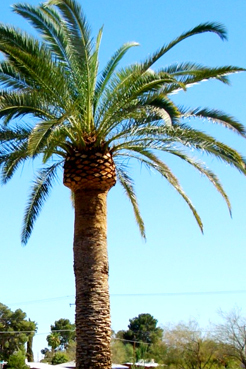 Garden Works provides tree-trimming services from Manhattan Beach up to Santa Monica. Don’t let a little problem turn into something major..
Tree trimming normally consist of removing branches that are either crossed or rubbing against each other, unexposed branches to sunlight, and any given branch that is not conforming to the natural shape of the tree. In Manhattan Beach we see a lot of tree branches that are too close to power lines or phone lines, these can cause damage as well as severe injury. Dead and broken branches should be removed for the health of the tree. Something to keep in mind is the fact that most tree trimming services are an excellent and inexpensive way of solving a problem before it gets out of hand. Most injuries and homes damage are completely preventable had the homeowner only taken five minutes to call a professional in the area and get informed. We are capable of tree trims for residential, municipal and commercial jobs. We have the tools and the expertise to complete any and all tree trimming jobs. No job is to big or to small. We practice typical tree climbing methods using a rope and saddle or an aerial truck for the jobs that are just a bit out of reach. The job will be over before you know it and we’ll be gone without a trace. We promise to clean up after ourselves and leave you with nothing but a great new look.